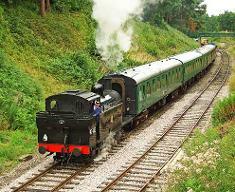 Lovely traditional steam railway line which takes the route from Tunbridge Wells to Groombridge via the High Rocks. Perfect place to take the kids and ride on trains from a bygone era. The East Grinstead, Groombridge and Tunbridge Wells Company was granted approval in 1862 to construct a railway in an eastwards direction from East Grinstead to Tunbridge Wells. Closure for the Groombridge to Tunbridge Wells West line came on 6 July 1985. A preservation society was formed with the aims of operating the route as a preserved railway. After a long hard struggle they were rewarded when they acquired the line in the early 1990s. 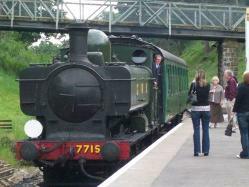 Have you been to Spa Valley Railway? How was it, would you recommend it?